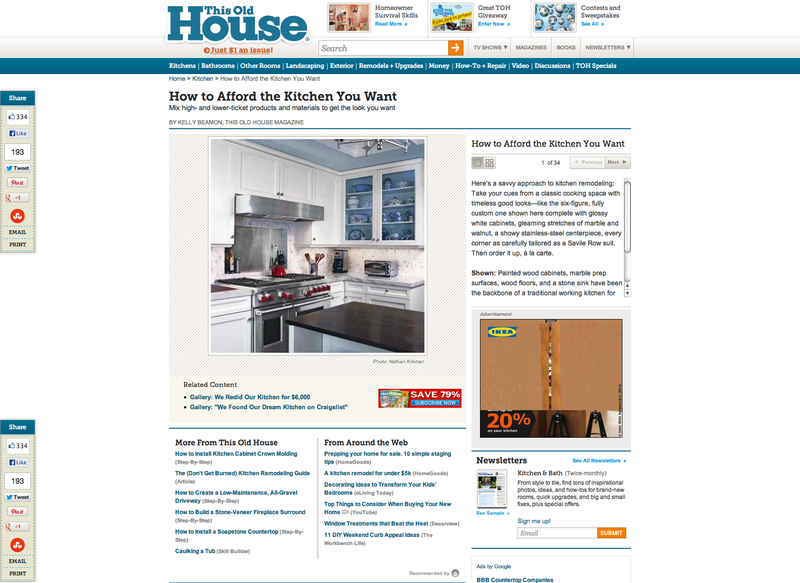 More and more people are turning to the Web for ideas on how to improve their homes. It seems like there’s a new start-up each week that’s trying to connect homeowners to contractors and other homeowners so everyone can get inspired, spread ideas, and share stories. I get it. It’s a hot space. Since I’ve spent many years working for various Internet companies, I thought I’d do a little comparison on a couple that seem hot right now, and also introduce some of the ones that are hoping to join them. I want to clarify here that I’m not affiliated professionally with any of these companies, and my assessment of each is based on regular usage vs technical knowledge. Note: There are many, many sites from which homeowners can draw inspiration (HGTV, Apartment Therapy, Dwell, Remodelista, Cultivate…. just to name a few). My intention is to focus on a few of the start-ups near me that seem to be drawing some attention and a growing user base. I recently visited the Houzz office in Palo Alto to meet with their VP of Marketing and Community. “Community” is the operative word with this company. 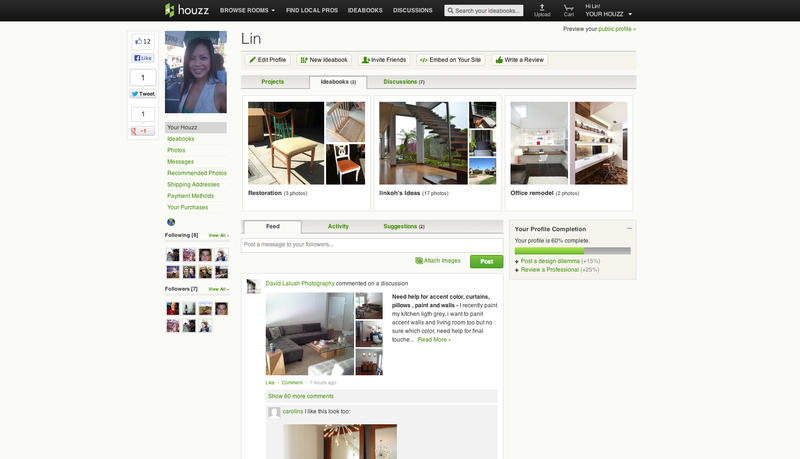 They’ve managed to nail it in terms of creating a strong online community that provides content for Houzz. This makes it easy for them to give their users lots of cool editorial eye candy without requiring the efforts of a large in-house editorial team. Almost all of their contributors are designers or editors from other publications. Like Facebook, actions and posts are documented in the form of a feed, and a user’s connections can like and comment on each post. This gets the discussions rolling on various home improvement topics. I’ve spent many hours browsing ideabooks or other users and have found a few standouts. Love this ideabook. Love. The light sculpture is by Stephen White. Check out his stuff. The beauty is blinding. Aside from browsing ideabooks, there are discussions where users can post “design dilemmas” to get help from the Houzz community. If you’re stuck with a space that needs a little lift, you can simply upload photos of the space and Houzzers will chime in to give their advice. You’ll hear from both professionals and regular folks like me. 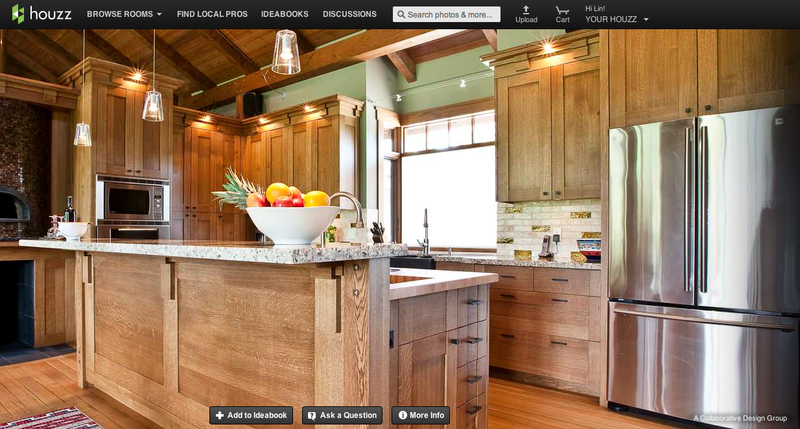 The Houzz user group is comprised of professionals and homeowners. If you’re interested in finding a contractor, it’s a great resource. Houzz also has a mazzive (sorry, couldn’t resist) amount of high quality photos, and the feel of the site is sleek and pretty. Their home page features rotating images from their professional gallery so users can get a peek into the array of work offered by various contractors and designers. 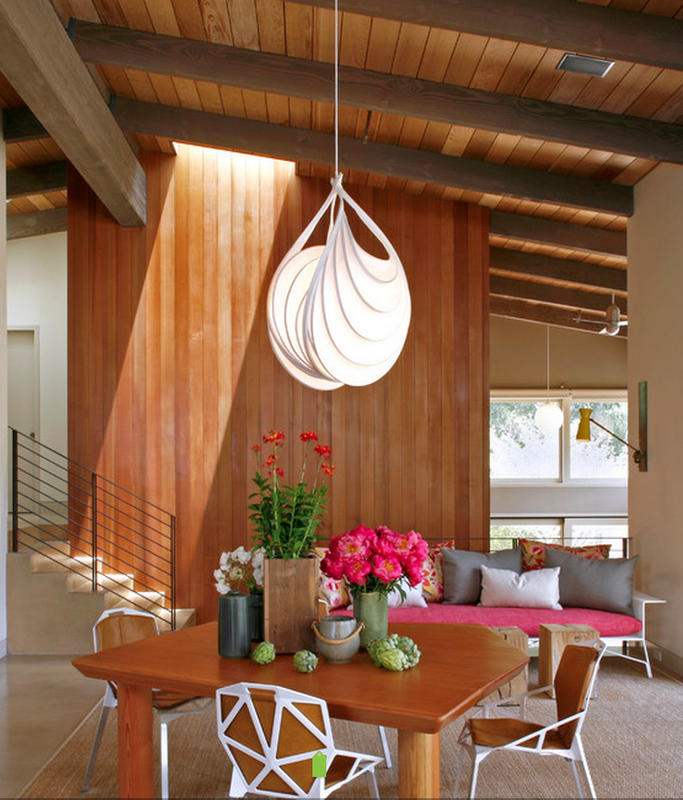 Although Houzz does it right in many ways, there are a couple of areas that could use some improvement. There’s A LOT of content and at times, it can feel a little impersonal. It can be challenging to find what you’re looking for without investing a whole bunch of time, which becomes daunting. I’m also left feeling as if I need a lot of money to achieve many of the design ideas that are shown. 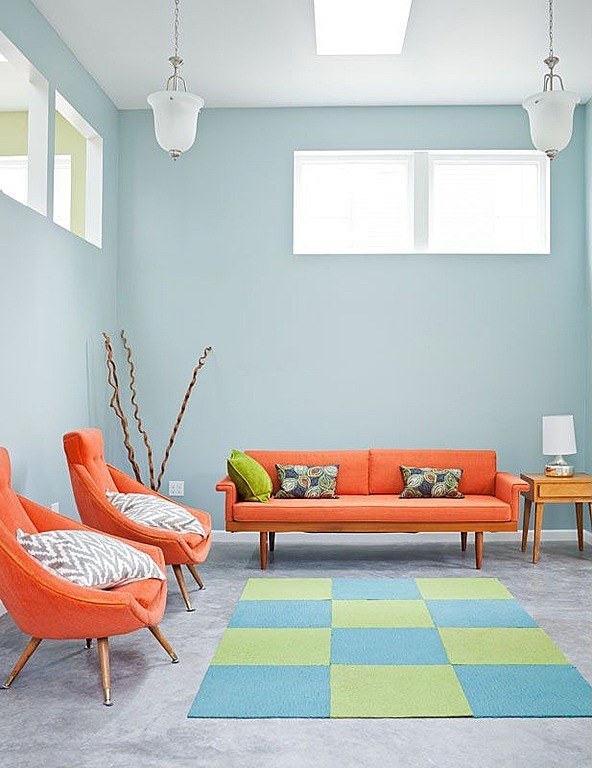 Budget is one of the most important considerations in home improvement, and Houzz gives me the impression that I need a significant budget to afford their professional community. And you know me — I love a great bargain without comprising quality, especially when it comes to improving my coop. Perhaps with their large community of both professionals and non-professionals who are design-obsessed, they could make space for budget-conscious homeowners like me. Ah, Zillow. You started out as a place to make me feel distortedly great about the over-inflated value of my property, and now you want to compete with Houzz through Zillow Digs to offer a complete ecosystem of real estate and home improvement services to your users. You get a bit of the Pinterest experience when you’re in Digs, but when homeowners are looking for ideas, it’s the way to go. I like the fact that budget is revealed on some of the Digs you see. 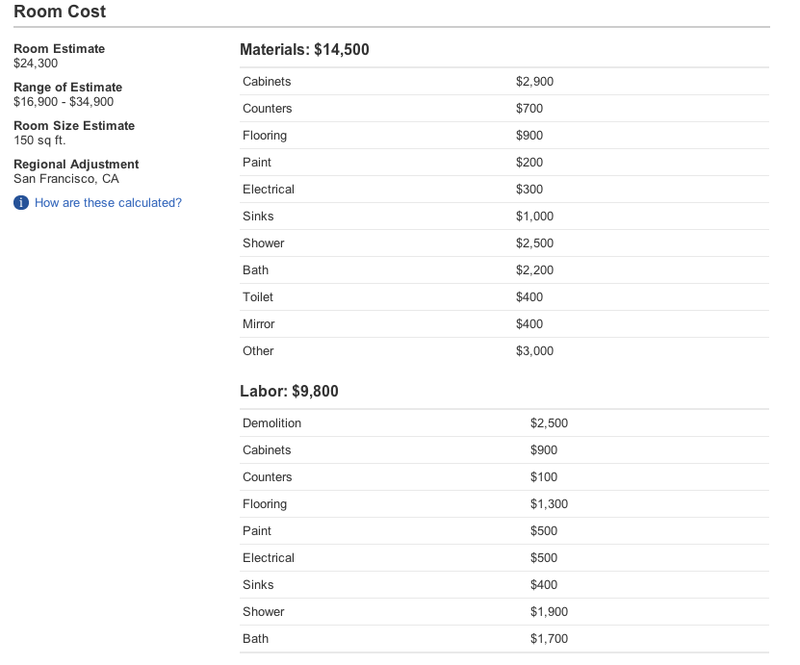 You can actually run a search for ideas based on your budget range (budget, mid range, luxury). Unlike Houzz, you get a sense of the costs involved in replicating a Dig which is a huge consideration when undergoing a remodel. The fact that you can browse ideas based on budget is extremely helpful. Here’s a Dig in my favorite color combo, style, and budget category. There’s a way to comment on each Dig, but I couldn’t really find any spiraling discussions. Like Houzz, there’s a professional community and a user community with a ratings system so homeowners can find contractors and designers for their projects. 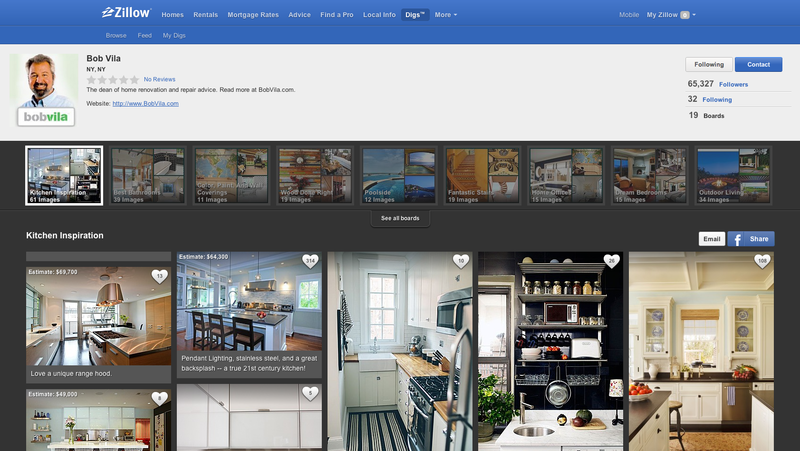 As a whole housing ecosystem, Zillow also hooks up its users with mortgage brokers and realtors to make it a one-stop shop for everyone. 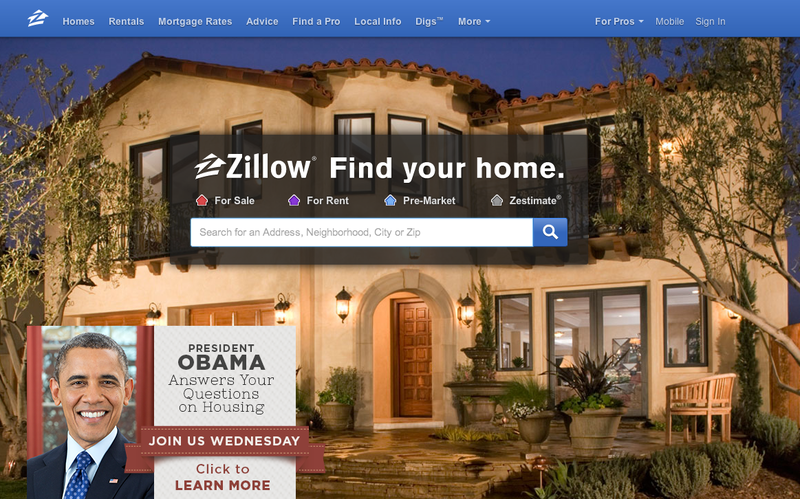 To further establish themselves, they held and live-streamed a virtual roundtable last night that was moderated by Zillow’s CEO in which President Obama answered questions from homeowners, renters, and prospective buyers in the US. They’ve also improved their overall look and feel for a more visually appealing experience (and I suspect, to compete at the Houzz level). I’m not a big fan of the Pinterest experience, so I feel overwhelmed with all the images on the home page. But I like how they’ve differentiated themselves by providing a complete ecosystem of services to homeowners and professionals. There’s a new kid on the home improvement block that seems to want to tease us with an upcoming launch. 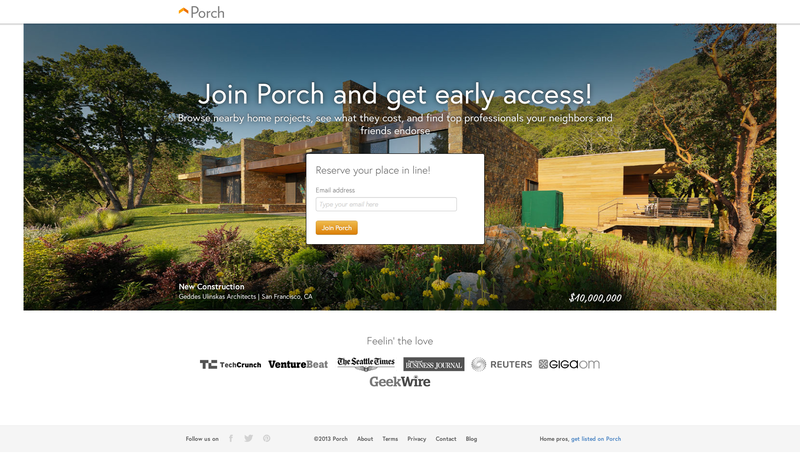 Headquartered in Seattle, Porch is encouraging users to sign up for early access to…..er….I’m not entirely sure what. I signed up months ago and haven’t really seen anything come across my inbox. I’ve only managed to access their blog and a few other company pages, but other than the similar look and feel of their home page to the other sites I’ve mentioned, what they plan to do remains to be seen. I’m guessing from the pages I was able to access that they intend to do the same thing as the others: connect homeowners with contractors and other homeowners for ideas and remodeling jobs. We’ll see how their future unfolds and how they plan to differentiate themselves from the other players. In the mean time, I’ll pour myself some lemonade and porch it while they get ready for their big reveal. Here’s another newbie in the space that claims to be a little more focused on its rating system for its professional community. 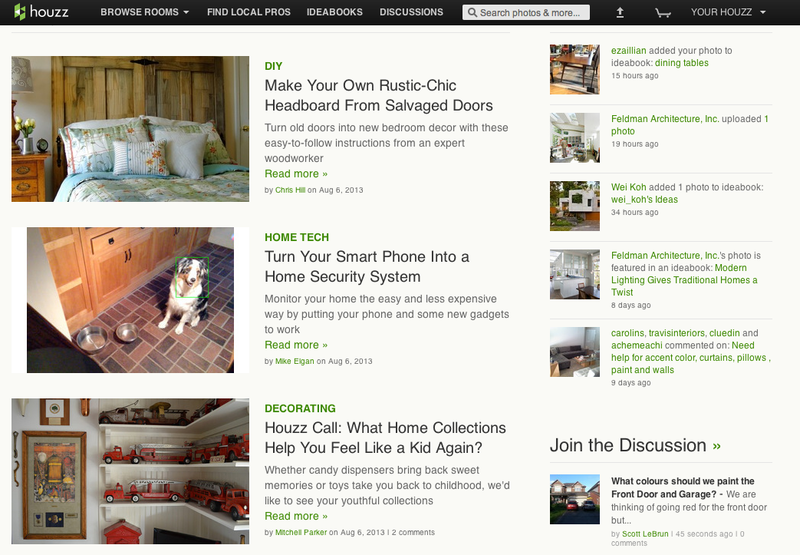 Think of BuildZoom as a geeked out Houzz, even though their home page looks similar to the other sites I’ve covered. They’re building a team in San Francisco and eager to make some noise in the hot home improvement space. 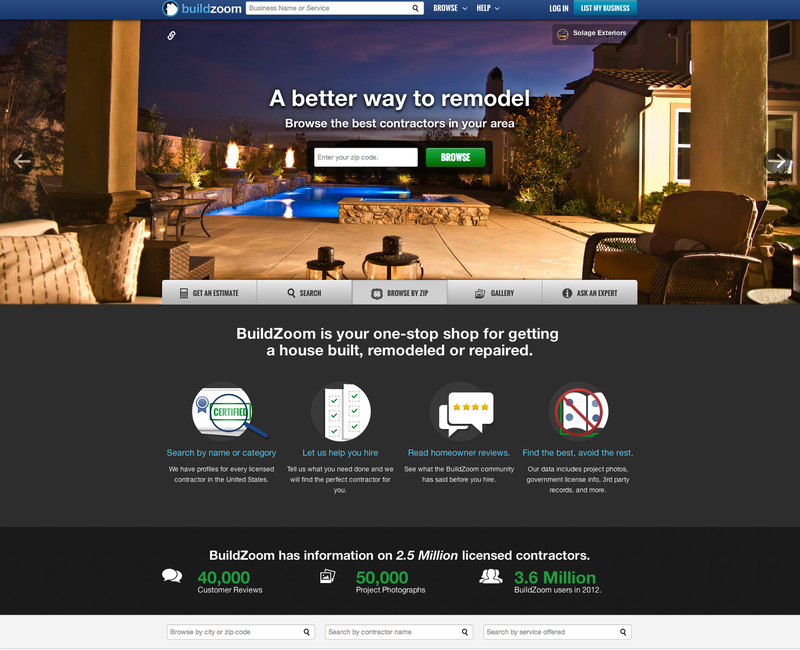 BuildZoom claims to use a complex algorithm that apparently gives users an extremely intricate ranking of each contractor to help them make the most informed decision. They also have an Answers section that is similar to what Houzz has done with their discussions page to encourage social interaction. 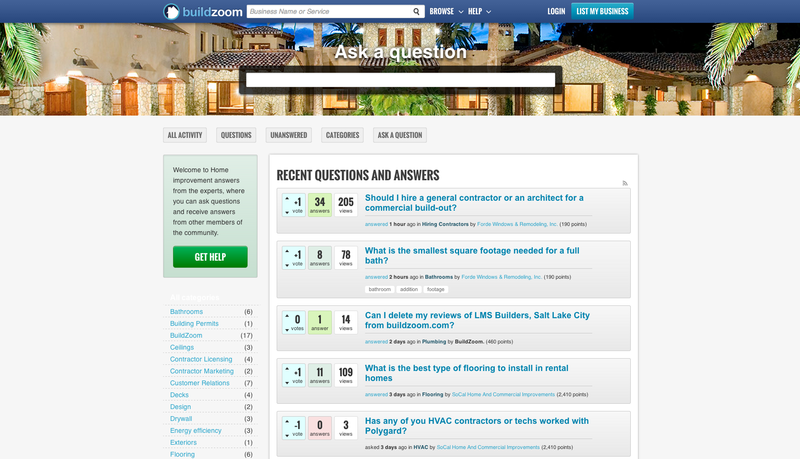 Users can post questions relating to home improvement and get insight from the BuildZoom community. It’s a good start, but they have a long way to go. The site lacks consistency in the areas of content and branding; it seems all over the place right now. For example, there’s a blog page that discusses big data extensively. I understand the importance of using data to rank their professionals, but the over-emphasis of it gives a confusing signal to users. 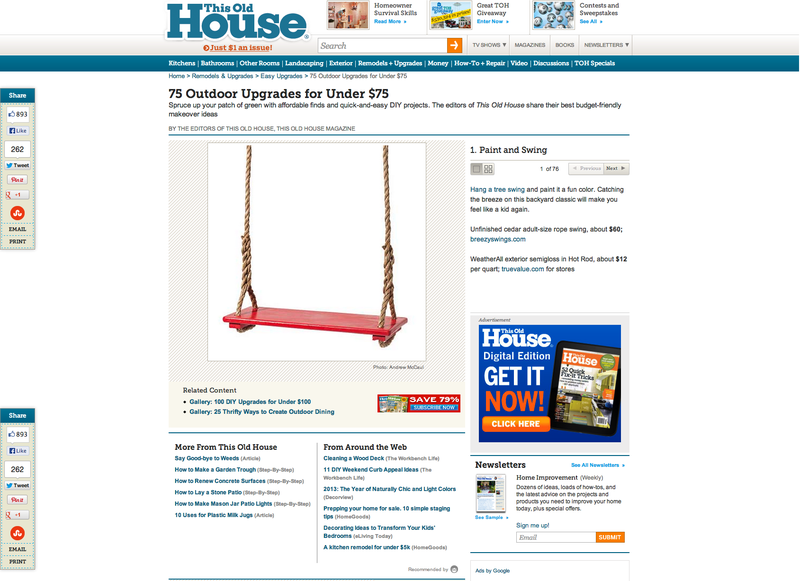 Is the content meant for home improvement folks, or technology geeks? 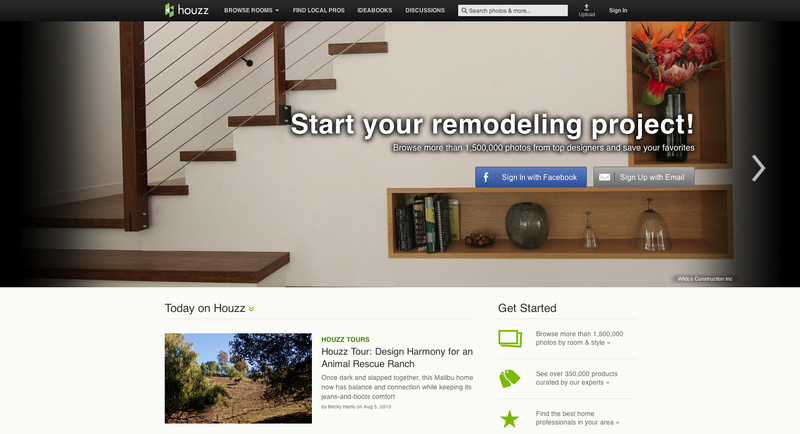 I spoke with their CEO recently who explained to me that they’re a little more data driven and less focused on the glamor of home improvement, as is the case with Houzz. That’s not a bad thing, considering the fact that there’s a lot of unglamorous tasks involved in home improvement….which leads me to the next site. 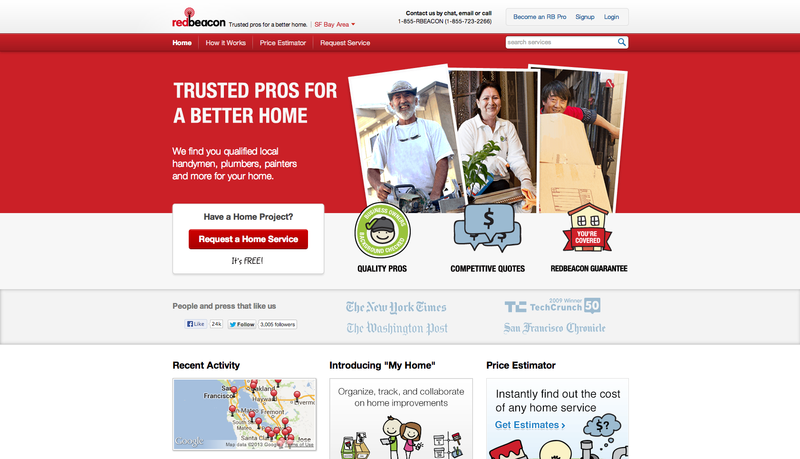 Owned by Home Depot, Redbeacon is using a more straight-forward approach in connecting its users to contractors of any kind. It seems to cover a much broader spectrum of services, from housecleaners to plumbers and electricians. 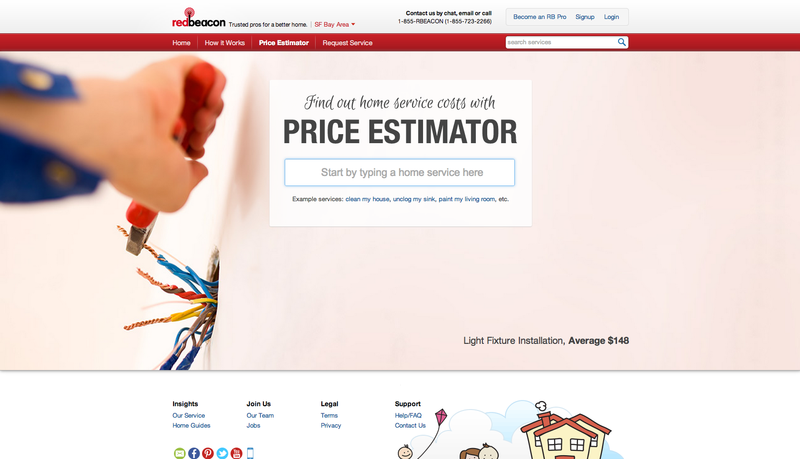 What I like about Redbeacon is its Price Estimator so homeowners get some idea on the cost of a job, such as painting a living room. It’ll be interesting to see which ones stick around in the next couple of years. There is no doubt that the start-up market is red hot right now. It reminds me of the dot com boom — a crazy time during the late 90’s when any idea was a good idea. But as we’ve seen from the past, only the best ideas that can engage users long-term turn into sustainable businesses, which brings me to my favorite site for home improvement ideas. It’s an oldie, but goodie. 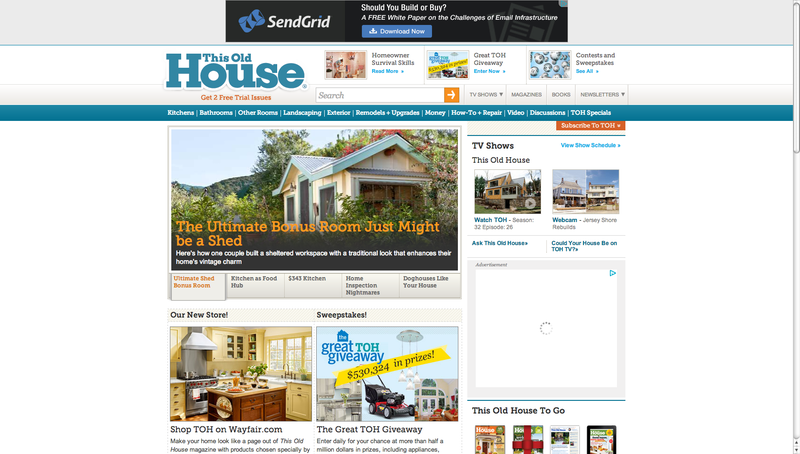 This Old House, or TOH, is a home improvement magazine and television series that I grew up watching on PBS. Bob Vila, the handyman I mentioned earlier, was the original host. I know, I know, it’s not a start-up. In fact, it dates back to 1979 and today, has a loyal following both online and offline. My love affair with TOH hasn’t ended because of the appearance of all the newbies in the space so it’s worthy of mention despite its long existence. What I love about TOH is that I instantly feel like my needs are considered. They offer a ton of advice on how to get things done without breaking the bank, and the content is often fed through a slideshow…. ….making it both easy and fun to browse the endless inventory of ideas that seem financially reachable with some easy fixes and swaps. Who wouldn’t want their dream kitchen without forking over their savings? Unlike the other Web sites I’ve mentioned in my post, TOH doesn’t set out to connect professionals with homeowners. 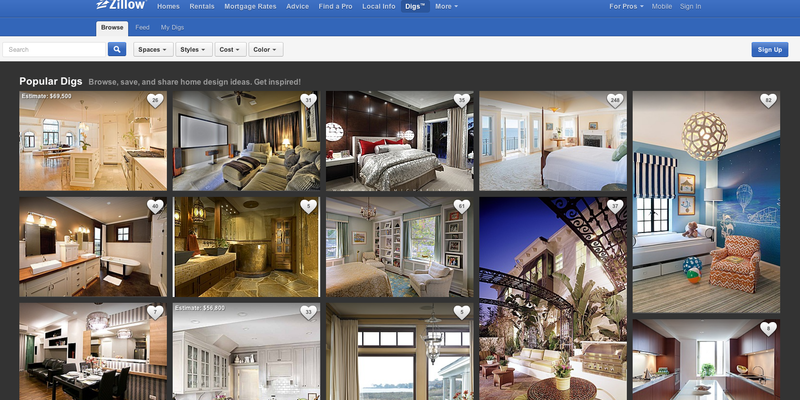 They are strictly an idea bank with a discussions page similar to what BuildZoom and Houzz offers. Their site is full of educational content, videos, and how-to articles on everything related to house and garden. They encourage a DIY approach to home improvement, and I love that they’re such a great resource for showing homeowners how it’s done without the need for professionals. Thank you, TOH, for being a major influence in my life for so long. I hope you stick around for a while and serve as a role model for the younger generations of followers in the sizzling hot home improvement space. If you’re a regular user of a home improvement Web site or have noticed some that are worth mentioning, let us know what they are and what you love about them. Thanks! TOH always WINS! Those other pretenders are just marketing tools snooping for our personal information. Talk about NOSEY! If I wanted them in my house, I would invite them in for a look around. (IE: Classic Home Tours) But I’m not interested in aiding the casing burglars and tax assessors that use their sites! TOH FTW!!! I’m hoping for a personal Classic Home Tour soon!! !